<firstimage=”//static.makeuseof.com/wp-content/uploads/2011/02/0-wmp12-intro.jpg”> Are you a fan of Windows Media Player? Aside from the other top media players for Windows 5 Best Free Media Players for Windows 5 Best Free Media Players for Windows The best media player for you is the one you most enjoy using. Here are the best free media player apps to consider on Windows. 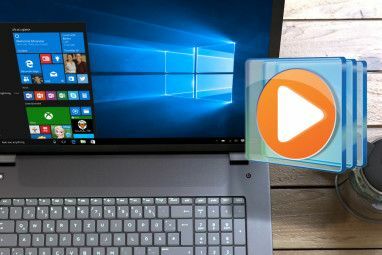 Read More , a lot of Windows users still use it because it comes pre-installed and has most (if not all) of the features you would look for in a standalone media player. As Saikat pointed out 10 Great Windows Media Player 11 Tips and Tricks 10 Great Windows Media Player 11 Tips and Tricks Read More a while back, Windows Media Player 11 had a lot of shortcuts, plugins Top 5 Windows Media Player Plugins You Should Use Top 5 Windows Media Player Plugins You Should Use Read More , and nifty features to make your experience more enjoyable. But what does Windows Media Player 12 have to offer? In this new release of Windows’ popular media player program, you’ll see improvements in supported formats and streaming capabilities, new playback modes, and more. In this article, I’m going to show you what’s new in this edition of WMP, so if you’re a Windows 7 user now’s the time to consider upgrading. What’s New Inside Windows Media Player 12? As I stated earlier, if you’re a fan of Windows Media Player, you should enjoys the changes made to the latest version. The first thing you might want to know is that Windows Media Player 12 plays more types of media than its predecessors. Aside from supporting most AVI, DivX, MOV, and Xvid files, WMP 12 has built-in support for many popular audio and video formats, including 3GP, AAC, AVCHD, MPEG-4, WMV, and WMA. What does this mean for Windows 7 users? No need to worry about installing codecs! Aside from having the ability to play more file types, you can now play those files in more places as well. Windows’ new “Play To” feature allows you to stream music and video to other PCs running Windows 7, as well as other compatible devices around your home. To use Play To, just righ-click the tracks you want to play from your library, or add them to your WMP 12 playlist, and click Play To. This feature makes it easy to stream music, video, and photos from your computer to other PCs, TVs, or stereos on your home network. For example, you can stream music from your PC to your home entertainment system or stream slide shows/videos to your TV. Likewise, Remote Media Streaming allows you to tap into your WMP 12 library over the Internet and enjoy your files while you’re away from home. To use Remote Media Streaming, both computers must be running Windows 7. Windows Media Player will walk you through the steps to turn it on, which will require you to associate both PCs with an online ID, like a Windows Live email address. Once you’re all set up, however, then you can connect to your library from afar. 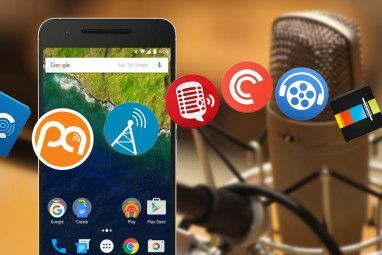 Other features of note include the new Now Playing mode, while being very minimalistic, gives you a new taskbar thumbnail with playback controls, smarter DVD playback, 15-second song previews, and jump lists for fast access to your favorite media. If you haven’t upgraded to Windows Media Player 12 just yet, you can download the application here. You can see most of these features in this video walkthough [No Longer Available]. Let’s hope this article has helped you to get fully updated on what’s happening inside Windows Media Player 12. Now you can get back to watching movies, listening to tunes, downloading YouTube videos How to Download a YouTube Video to Windows Media Player How to Download a YouTube Video to Windows Media Player Read More , and all that good stuff. I’m a fan of WMP 12 and will continue to experiment with it to see what else it lets me do. Stay tuned! 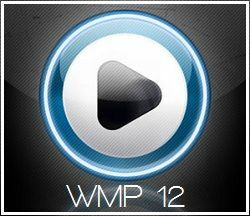 What’s your favorite new feature on WMP 12? Explore more about: Media Player, Windows Media Player. Why is Media Player 12 only for Windows 7, Why can't you use it on Windows Vista Home Premium ?? 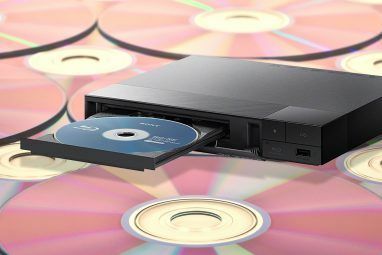 A great media player. Simple, minimal, as well as powerful and versatile. Better than itunes.